The Dáil brushed off a water charges debate today and voted to talk about Brexit for 8 hours. IRISH WATER REMAINED the sticking point in the government formation talks between Fine Gael and Fianna Fáil when they resumed today in Trinity College. While the talks are believed to have progressed yesterday, the elephant in the room remains Irish Water, one source said. The talks have now ended for the evening, but will resume again tomorrow. Senior sources said the talks ended on a positive note and went well this afternoon. Fianna Fáil maintained today that it campaigned on the issue of the abolition of Irish Water and the suspension of water charges for five years. “It’s a sticking point for us,” said one Fianna Fáil TD, who said he can’t see the party compromising on the issue. A Fianna Fáil parliamentary meeting is due to take place at 12pm tomorrow – with one source stating that water charges is going to be the main topic up for discussion. One Fianna Fáil TD said if any amendments to policy are to going to be made it will have to go through the parliamentary party, while another senior source said they had not received any reports or details from Fine Gael in relation to how Irish Water might operate in the future. Speaking ahead of the talks, Finance Minister Michael Noonan said there are “five or six net points” and Irish Water is just one of them. There is a now a new sense of urgency, with Fianna Fáil’s Michael McGrath stating it is imperative the talks proceed in a timely manner, with Fine Gael’s Simon Coveney saying the “sooner the better”. Earlier in the Dáil, Sinn Féin President Gerry Adams called for a debate on scrapping water charges. He also wanted to debate the need for emergency legislation to deal with yesterday’s High Court ruling on suspended sentences. Adams said for the past eight weeks, TDs, as legislators, have been prevented by the caretaker government from fulfilling their responsibilities to introduce, debate and pass legislation. The Dáil is not an arm of Government. It is an independent legislature. Yet we have only been allowed to discuss matters at the whim of an acting Government which has no mandate, but which controls completely the way we do our business. He said a motion calling for the scrapping of water charges was supported by 33 TDs and criticised the government for preventing it going ahead. Richard Boyd Barrett said it was unacceptable that Fianna Fáil and Fine Gael are currently debating the issue of water charges as part of the discussions on the formation of the government, but refuse to discuss them in the Dáil. He said Irish Water is one of the key issues that produced the election result and is one of “the defining issues informing the discussion on the formation of the government”. This House was mandated to get rid of water charges because more than 90 deputies sitting in this House today are sitting here because their manifestos opposed water charges. Instead, the Dáil voted to discuss statements on EU and UK relations – namely, Brexit. 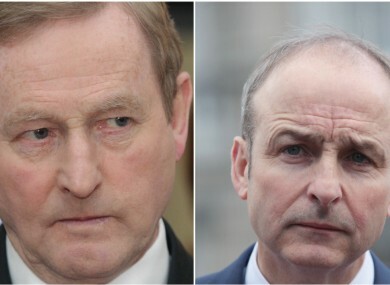 The two parties aim to reach a deal on an Enda Kenny-led minority government during the ongoing talks. A group of independent TDs, including Mattie McGrath and the Healy-Raes, met last night to discuss their position. Speaking today on Morning Ireland, McGrath said he had had no contact with Fine Gael since the process with Micheál Martin’s party started. They might be, but they haven’t been talking to myself or indeed my colleagues last night – they had no phone-calls either, most of them. Meanwhile, the Independent Alliance said they await the results of the Fine Gael and Fianna Fáil talks before they make a decision. Katherine Zappone, the Dublin South-West independent, released a statement yesterday saying she had secured a number of commitments from Fine Gael, who she supported to lead a new government last week – casting her vote for Kenny. Amongst the ‘Commitments to Change’ which she outlined in a statement were a process of gender- and equality-proofing budgets, and a commitment on a citizen’s assembly to look at a referendum on the Eighth Amendment (this was also promised by FG during the election campaign). Asked about the Zappone statement today, McGrath said it was surprising as several rural independents had concerns about the repeal of the Eighth. Separately today, the new Oireachtas Committee on Housing and Homelessness will meet this afternoon, with the first order of business the election of a chairperson. The setting up of the panel was welcomed by charities in the area earlier this month, with Pat Doyle of the Peter McVerry Trust saying it could play a key role in helping create a more sustainable and coherent housing system. “With an Oireachtas committee in place politicians can analyse, debate and scrutinise solutions to the housing and homeless emergencies,” Doyle said. Both Fine Gael and Fianna Fáil met this evening, but no formation of a government was agreed. Senior sources did, however, say the talks went well. Email “Talks over for the night as water remains sticking point between parties”. Feedback on “Talks over for the night as water remains sticking point between parties”.